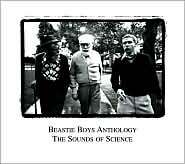 Between 1986's Licensed to Ill and 1999's hits package, The Sounds of Science, the Beastie Boys matured from attention-starved brats to insightful, funky, trendsetting brats with an ace record collection and top choice in collaborators. And by staying in tune with their inner children, the Beasties have also managed not to drop off in fervor as they've continued to push their boundaries. How many other hip-hop/rock groups would be able to put songs as different as the hard-core "Egg Raid on Mojo" and the jazzed-out instrumental "Sabrosa" on the same collection? As well as a slightly deranged take on Elton John's "Benny and the Jets"? At a hefty 42 tracks, this collection has something for everyone--and manages not to skimp on the hits or pad itself with filler.